Ott, VP of radio and news content, said in a post on LinkedIn that she’s hoping to return to her “passions” of “making content and teaching others how to make content.” She has enrolled in graduate school at University of Alabama, where she’ll also be teaching undergraduate reporting labs. Ott also leads Public Radio Program Director workshops for new PDs, chief content officers and podcast producers. Earlier in her career, Ott spent 10 years as news director at WBHM-FM in Birmingham, Ala., and was assistant news director at WUFT in Gainesville, Fla. She also hosted All Things Considered at Colorado Public Radio. WFAE in Charlotte, N.C., has added three journalists to its newsroom. Zuri Berry is managing editor of news and digital. Previously he worked as deputy managing editor for news and multimedia at the Boston Herald. Jessa O’Connor is digital news and engagement editor. A recent graduate, O’Connor produced Carolina Connection at UNC Chapel Hill’s student radio station. And Ryan McFadin is an assistant producer for the daily show Charlotte Talks. McFadin’s experience includes working as an associate producer for On Second Thought at GPB Radio in Atlanta. WGBH will celebrate jazz radio host Eric Jackson’s 40th anniversary at the Boston station with a series of special events next week. 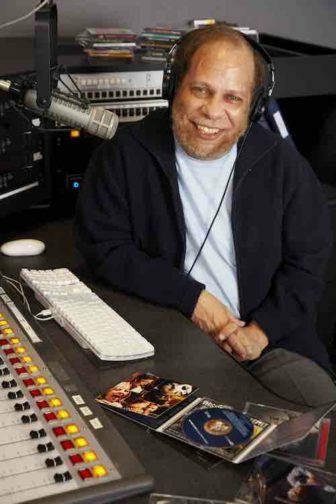 Jackson, host of Eric in the Evening, is widely considered the “Dean of Boston Jazz Radio” and has made “major contributions to jazz, radio, arts, educational and African American communities during the course of his prolific career,” according to WGBH. During festivities April 22-29, Jackson will accept citations from Sen. Elizabeth Warren, Gov. Charlie Baker, the cities of Boston and Cambridge, Harvard University and Berklee College of Music. Public events include a jazz brunch, a live radio broadcast at the Boston Public Library and panel discussions on his educational legacy at Northeastern University. “WGBH is so grateful to have Eric as the voice of jazz radio in Boston on our airwaves since 1977, welcoming listeners to a diverse and dynamic genre of music with unmatched authority,” said President Jon Abbott. Jennifer Merritt has joined Cincinnati Public Radio as digital editor, a new position. Her past decade of experience includes serving as a deputy editor for InStyle.com at Time Inc.
John Active, a Yup’ik storyteller and host of Ketvarrluku on KYUK-FM, has retired from the station in Bethel, Alaska. Active has been with KYUK since the mid-1970’s, translating news for the 60 percent of its audience whose first language is Yup’ik. “He belongs to our community and to this radio station and we’re proud to have shared time with him and space with him, and the words that he passes onto our people,” said KYUK’s Peter Atchak during a farewell native potlatch gifting celebration last month. 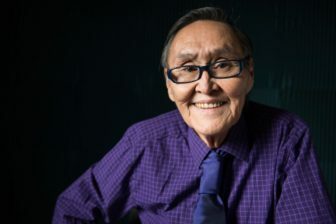 Atchak, who is fluent in a variation of Yup’ik, continues as host of Ketvarrluku. 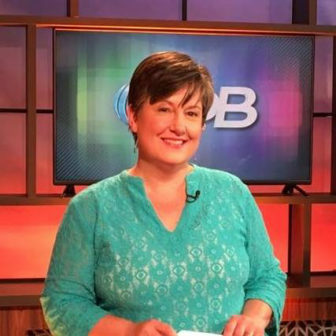 Susan Davis is the new executive producer for GPB Radio’s On Second Thought. Her previous public radio experience includes serving as associate producer for NPR’s Talk of the Nation, and as senior supervising producer for The State of Things, a daily live talk show produced by WUNC in Chapel Hill, N.C.. Davis also taught podcasting and storytelling at Wake Forest University in Winston Salem, N.C.
Louisville Public Media has hired Jean West as local All Things Considered host. Her 30-year career includes serving as an anchor and health and science reporter at NBC and ABC affiliates in the city, as well as producing reports for NPR and ABC’s Primetime Live. West has also worked as a media consultant internationally, including for outlets in Hong Kong, India, Botswana and the United Arab Emirates. She succeeds longtime host Susan Sweeney Crum, who retired this month. Stephanie Hart has joined the staff of MotorWeek, TV’s longest-running automotive series produced at Maryland Public Television. Hart is a feature reporter and producer for the program’s consumer-oriented “FYI” segments. She previously worked as a general assignment reporter and fill-in anchor at WUSA9 in Washington, D.C.
Brian Amaral, former digital producer On Point at WBUR in Boston, just started work at the Providence Journal in Rhode Island covering police, courts and breaking news. Clark Boyd, senior producer and reporter at PRI’s The World, is leaving the program, he revealed in a tweet. He joined The World in 2003 as technology correspondent. Boyd previously served as producer, writer and editor for the launch of Boston Calling, a half-hour program for the BBC World Service. He also spent a year freelancing from El Salvador. Chuck Roberts, COO at West Virginia Public Broadcasting, has taken over as interim executive director. He joined the network in 2000 as video production assistant and worked his way to COO in 2016. Roberts replaces Scott Finn, who left to become president of Vermont Public Radio. 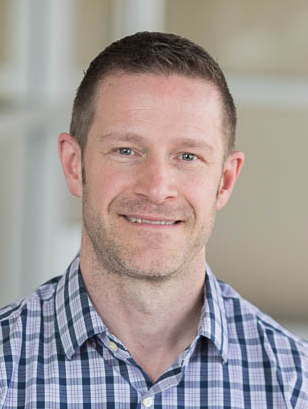 Todd Mundt is taking over as board chair for Public Radio Program Directors following the resignation of KUT’s Hawk Mendenhall. Mundt is senior managing editor of Here & Now, the daily newsmag co-produced by WBUR and NPR. Stepping into Mendenhall’s vacant seat is Jeff Ramirez, VP of radio at KERA in Dallas. The Public Radio Association of Development Officers announced a new board earlier this month. President is consultant Kevin Donohue of KFD Media; president emeritus is Sarah McDaniel, membership director, Northwest Public Broadcasting in Pullman, Wash. Secretary is Gregory Keeler, manager of audience outreach and nonprofit sponsorship at WSKG Public Media in Binghamton, N.Y. Board members, selected by membership for three-year terms, include: Ronald Biava, development and marketing manager, WWNO, New Orleans; Noel Freitas, membership director, KAZU, Pacific Grove, Calif.; Michelle Keenan, membership director, Blue Ridge Public Radio, Asheville, N.C.; Thomas Labusienski, underwriting adviser, WVPE, Elkhart, Ind. ; and David Steffen, underwriting and business coordinator, KZYK, Philo, Calif.
Robert Smith, a host and correspondent for NPR’s global economics podcast, Planet Money, is one of 10 Knight-Bagehot Fellows in economics and business journalism for the 2018-19 academic year. The program, which begins in August, allows mid-career journalists to take graduate-level courses at Columbia University’s schools of business, law and international and public affairs. Fellows also attend special seminars at the journalism school. Maryland Public Television has promoted Nancy Guyther to the new position of director of research and media placement. In this role Guyther will plan paid media campaigns as well as supervise and analyze media buys. She retains her responsibilities as research manager, a role Guyther has handled since arriving at the Owings Mills station in 2010. The Online News Association has promoted Meghan Murphy to senior manager, communities and local journalism initiatives. In her new role Murphy will focus on building an integrated community and membership strategy across the association. She joined ONA in 2016 as community manager, responsible for planning digital journalism training, networking events and leadership workshops.